Different custom indicators for metatrader4 platform. 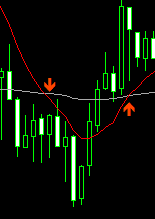 LOCInfo is a monitor custom indicator which displays multiple values from different timeframes. Also it displays current Bid price, symbol, spread and ZigZag pivot levels. LOCLinePipsHistory is a simple helper script to manually measure distance in pips to current market price and time when the price was on the line level. The script will write the distance from all horizontal lines to the current market bid price and the time range since price crossed the line. LOCLinePips script writes distance in pips from all horizontal lines on the chart to the market price. LOCLinePips is a simple helper script to manually measure distance in pips to current market price . The script will write the distance from all horizontal lines to the current market bid price. LOCSignal indicators are specially designed indicators to provide signals for LOCTrader EA. These indicators usually use other common or custom indicators internally with custom logic to produce signals. LOCSignal indicators can be used with LOCTrader EA or independently. LOCSignal MA Cross With Hi Low Protection. Produces signals on cross of slow and fast Moving Average indicators. With a filter to prevent "piked" false crosses. LOCSignal MA Cross With Hi Low Protection is an indicator which produces signals for LOCTrader EA. Also this indicator can be used for manual trading.